Arcadia is presented by the Shakespeare Theatre Company and sponsored by Cultural Programs of the National Academy of Sciences with generous support from Ralph J. and Carol M. Cicerone. Join Cultural Programs of the National Academy of Sciences (CPNAS) and the Shakespeare Theatre Company (STC) for a staged theatrical reading of Tom Stoppard's 1993 play Arcadia. Intertwining themes of history, mathematics and physics set against a time-spanning drama make this play a modern classic that bridges the work of CPNAS and STC. The staged reading will take place on June 29 from 7:30 p.m. to 10:00 p.m. (with a 15 minute intermission) in the Auditorium of the NAS Building. Photo IDs are required. No charge. Directed by Samantha K. Wyer, Director of Education, Shakespeare Theatre Company. Featuring Jessica Frances Dukes, Kimberly Gilbert, Michael Glenn, Rayanne Gonzales, Missy Hamblet, Matthew Pauli, Ian Merrill Peakes, Jefferson A. Russell, Colin Smith, Alexander Strain, Jonathan Lee Taylor, and others. 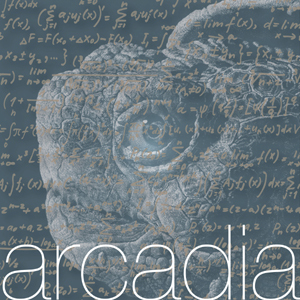 Iteratia, a dance inspired by the mathematical ideas in Tom Stoppard's Arcadia, will be performed at the NAS prior to the staged reading of the play. One of the mathematical ideas in Arcadia is iteration: using a method or formula to get an estimated answer, and using that answer as the new starting point to apply the method or formula again to arrive at a new answer. The cycle repeats as necessary in order to get as close as possible to the actual solution to the problem. Along with inspiration from other aspects of Arcadia, Gregory Mack is using the idea of iteration in the choreographic process for this dance work in collaboration with fellow dancers/choreographers Sarah Hixon and Amanda Whiteman. Mack, Hixon, and Whiteman will perform the dance on June 29 from 6:30 p.m. to 7:00 p.m. in the West Court of the NAS Building. Photo IDs are required. No charge. Reservations are included with Arcadia. Gregory Mack is an astrophysicist and a dancer in the modern dance company Hixon Dance. Sarah Hixon is the artistic director of Hixon Dance and a dance educator at BalletMet Columbus and New Albany Ballet in Columbus, Ohio. Amanda Whiteman is the founder of GroundShare Arts Alliance (formerly GroundWorks Dance Ensemble) and a Master Teaching Artist at Wolf Trap where she integrates the performing arts with literacy, math, and science.